Online retailers are not small businesses scraping their way to a measly profit anymore. They have grown exponentially and have come to include some of the largest businesses in the world. Obviously, this has created a disadvantage for brick and mortar shops, which is one of the main reasons this change was brought about. Evers since 1992, only two years after the creation of the World Wide Web, online retailers did not have to include sales tax on their products unless they had a physical presence in the customer’s state, which allowed them to offer lower prices than their brick and mortar counterparts. Well, the days of dodging sales tax by shopping online have officially come and gone… most likely. The recent Supreme Court decision South Dakota v. Wayfair Inc. has now made it so that the states can require online retailers to add a sales tax for the products that they sell to consumers throughout the nation. Notice that the ruling does not directly require online retailers to collect sales tax, but rather allows the states to make the decision whether to collect the tax or not. It’s no surprise the government wants as much money as it can get its hands on, but it will depend on the state you live in. Under the new laws that have been put in place, brick and mortar shops will be able to be more competitive with some of their online competitors. This does not apply to many of the large online retailers like Amazon or Wayfair because they already include a sales tax on about 80% of their orders in anticipation of the Supreme Court ruling. This means that large online retailers will not feel the effects nearly as much as the smaller start up online retailers will. However, brick and mortar locations will be able to better compete with smaller online retailers because many of them have not yet started to add a sales tax onto their orders. While this change does bode well for physical stores, it could prove to be quite tough on smaller online retailers. Perhaps costlier than the loss in competitiveness is the fact that time and money will be needed to navigate the various state, county, and municipal sales tax rates wherever their products are being bought from. Thankfully, the same boom in the digital and internet realms that contributed to this problem will also contribute to its solution in the form of easy to use tax-automation software. 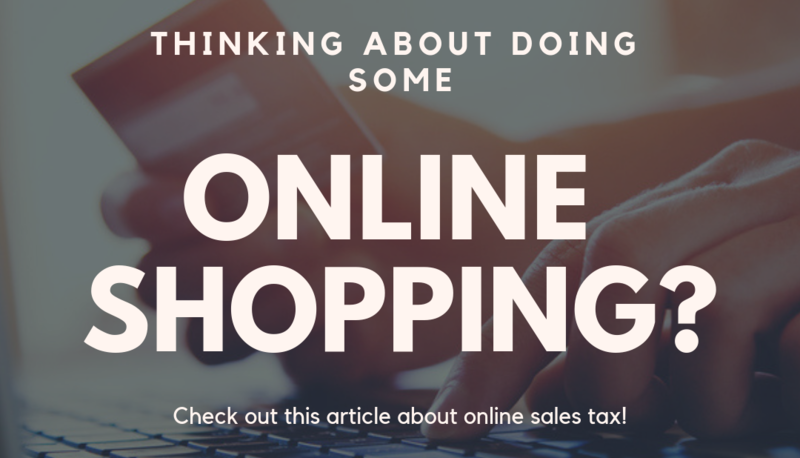 Additionally, many of the larger online retailers did not see any dip in sales when they began to add sales tax onto their orders several years ago, which hopefully rings true for smaller online retailers, as well. The big winners from these changes will undoubtedly be brick and mortar stores and the state governments that will no longer miss out on the billions of dollars in annual revenue that they are now expecting to receive. However, just because these parties are the winners, does not mean that there must be an outright loser. As long as the smaller online retailers put in the right amount of time and research, they shouldn’t have too much trouble keeping their business just as profitable as it was before.